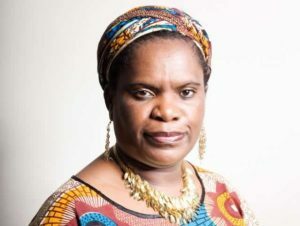 Betty Makoni is pleased to join WomenAround TheGlobe(WAG) at International Women`s day Celebrations to be held in London on 17 March 2012. She will be a guest speaker together with London`s most prominent women leaders. WAG International women day celebration is not just about celebrating but also women come together to review the issues they face around the world. WAG will be also introducing their organisation and also giving them the opportunity to become members. Betty Makoni will speak about her background growing up as a traumatised sexually abused girl, why she started up Girl Child Network, information about her newly released book, A woman once a girl-Breaking Silence. She will also use address young women attending celebrations on how to stay empowered and achieve. WomenAround TheGlobe (W.A.G) is based in Camden London and offers support to women between the ages of 16-25. W.A.G provides a safe space for women to share experiences and aims to foster links between London women and international women. Each month W.A.G holds a book club, the aim of the book club is to get women talking and sharing. Every month W.A.G sets a topic for discussion and a book based on this topic is read by members. Then women are invited to come and talk about the book and their experiences of the topic. This encourages women to share their experiences, fosters links in the community and points women in the direction of any local services that could be of use to them.